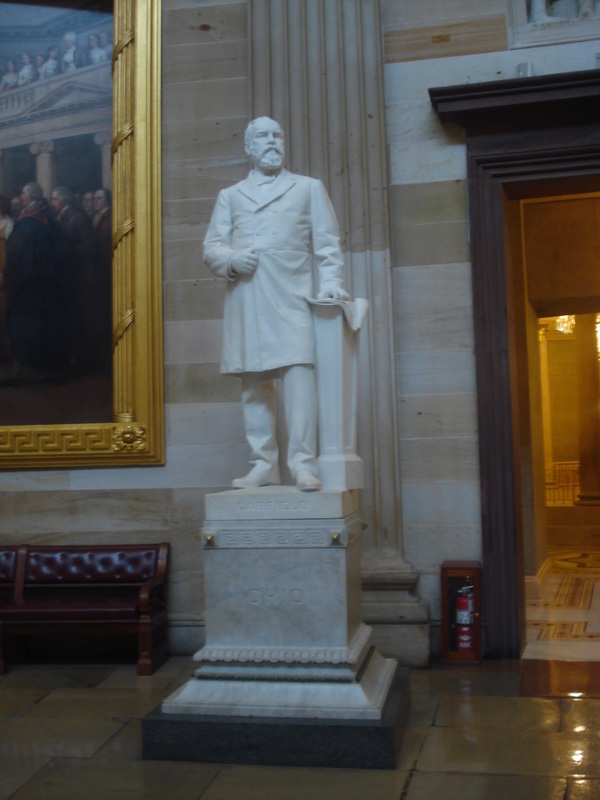 Ohio’s statue of James A. Garfield can be found in the Rotunda, along with other presidential statues in the collection. Another prominent Garfield statue can be found on the Capitol grounds: the Garfield Monument is located on a circle outside the Capitol on the West Front. Click here to see one of the stamps issued in honor of President Garfield.